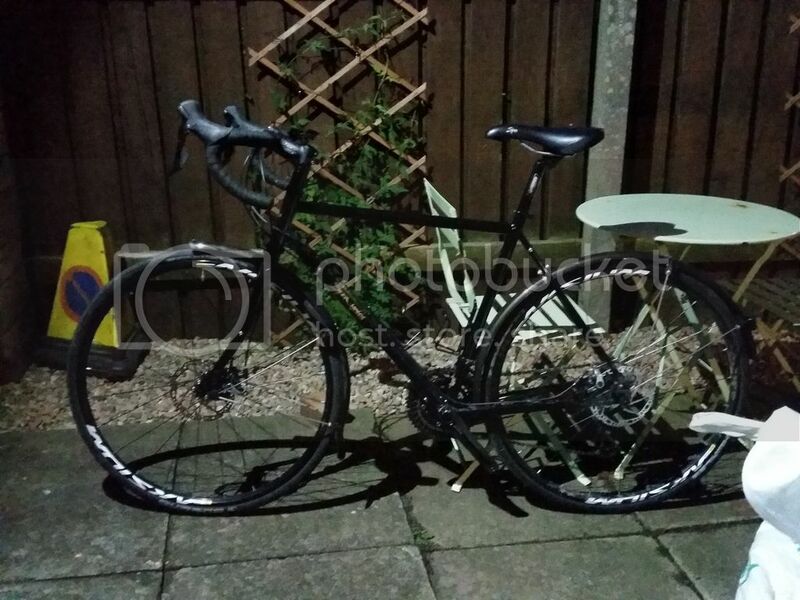 11sp Shimano 105 with Hydro disc brakes - steel frame - clearance for 32c tyres.... (Big fan of the 11sp 105 Hydro disc set up so would like this as a minimum). I've spotted a couple of contenders (Spa Cycles Elan & Fairlight Faran) but was wondering what else is out there as its been a while since I was in the market and there's bound to be a few more i'm unaware of. I think there are quite a lot now. In Ti, the Spa Elan looks nice, though it would be nice to see the geometry. I saw one last week and observed on the arrival of the 44mm headtube whilst I was in the shop. Colin531 says they have a couple of steel disc frames in development too. I'd pop to Harrogate and ride the Spa, then try a Kinesis and make a choice. I must say, i'm particularly excited about the Spa development of a steel disc bike - my Spa Audax is my current go-to so I do like the idea of another one from them. I think you're right - a trip to Harrogate is in order soon! Burls will do a custom ti with whatever clearance you would like. Mason do the resolution but am not sure on tire sizes. 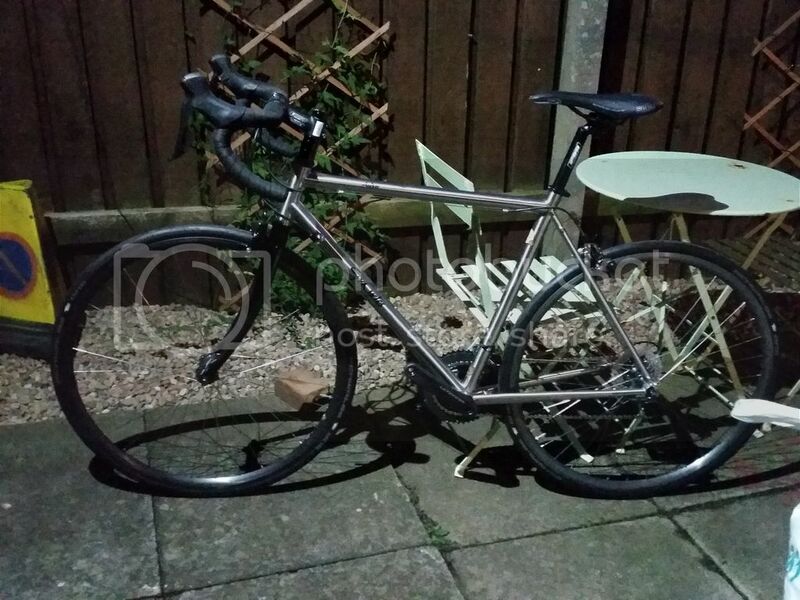 There is also Wold cycles by ex Genesis designer Dom, which have a couple which fit the criteria. Personally I just like Spa bikes even though I have never ridden one! I like the Reilly Gradient, but what happened with Omega puts me off. The guys at Kinesis appear sound, and I guess they are big enough to stand by their frames, so the Tripster is my most likely choice, with Stooshie possible choice. Kinesis are big, or at least the parent is. The parent does the manufacture and has all the special superplastic forming kit etc. They may even smelt Aluminium. So I mailed Spa cycles with a question asking if they planned to make a steel version of the Elan with 11sp 105 and hydro disc brakes. On Monday I got the reply saying they have 2 x prototypes in the shop - steel frames and fork ala the Elan - one a 50cm and one a 54cm (my size). The 50 was built up with a 10sp 105 triple but the 54 with the 11sp 105 double with trp spyre brakes. (Not a deal breaker at all). I was told that if I was to pop down and try it then they could sell me that. From the short test ride it fits the bill perfectly and was a great price to boot. Let's hope they go into production soon! I can't wait to take then both for a spin! The stainless Audax looks superb. Good choice. ^^^ love the colour scheme. Did Spa give any indication of the price for the production bike ? 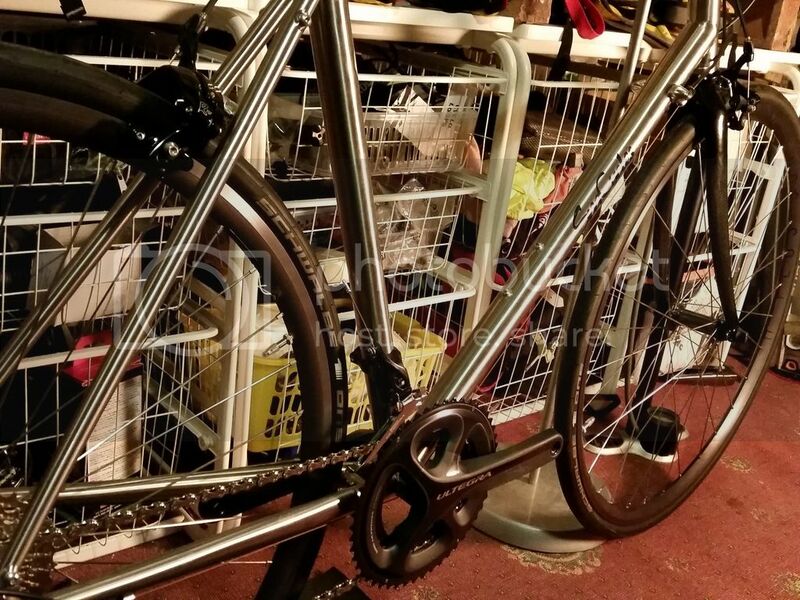 Yes i got them both at the same time, went there (with my wife no less who saw the prices....) with the intention of just the Steel Elan but when i saw the Stainless Audax and saw it was a one off (and in my size) i though it better to ask forgivness than permission. Nicely done. Hope you have much fun on them.